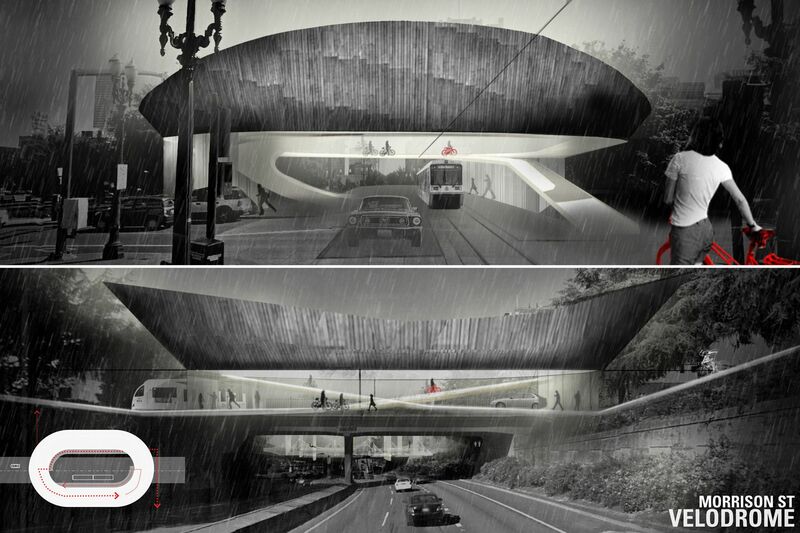 This is our entry for “Stitch: an AIA Portland Ideas Competition” to lid I-405 and connect Downtown Portland Oregon to their Stadium District. chadbourne + doss architects won First Place. 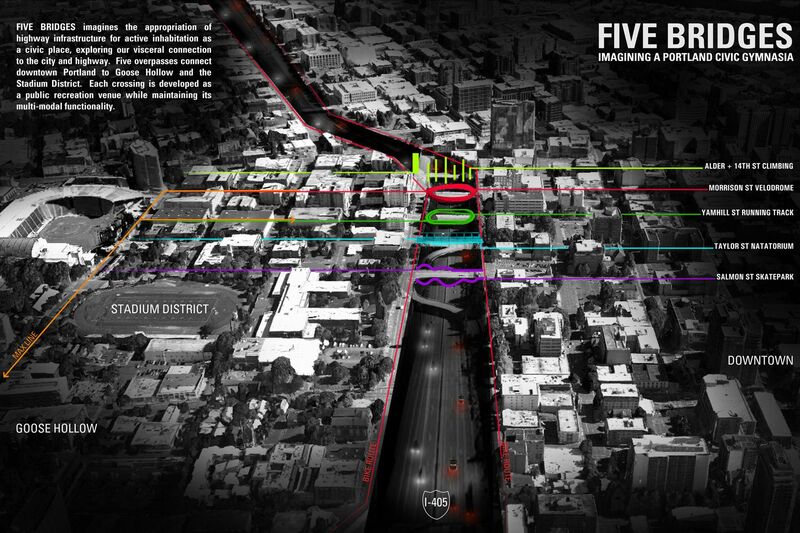 Instead of a continuous “lid,” the proposal is to program 5 existing bridges with a different activity. 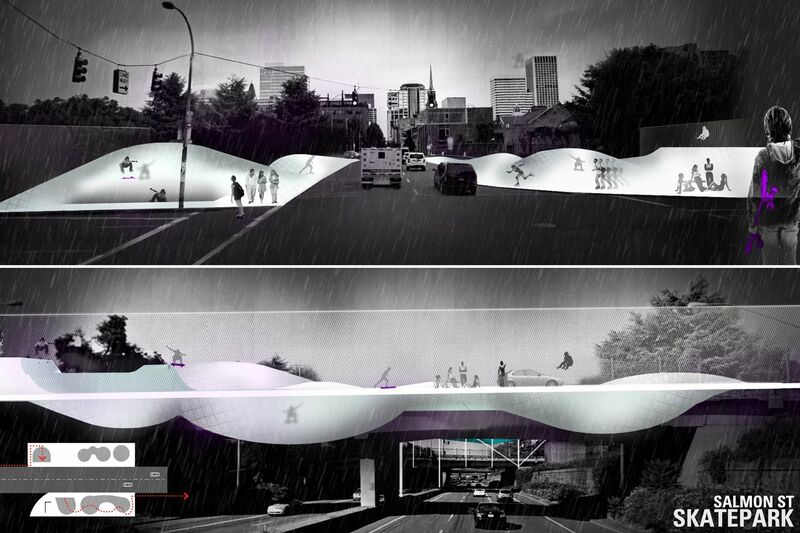 The Salmon Street Bridge gets a skate park. 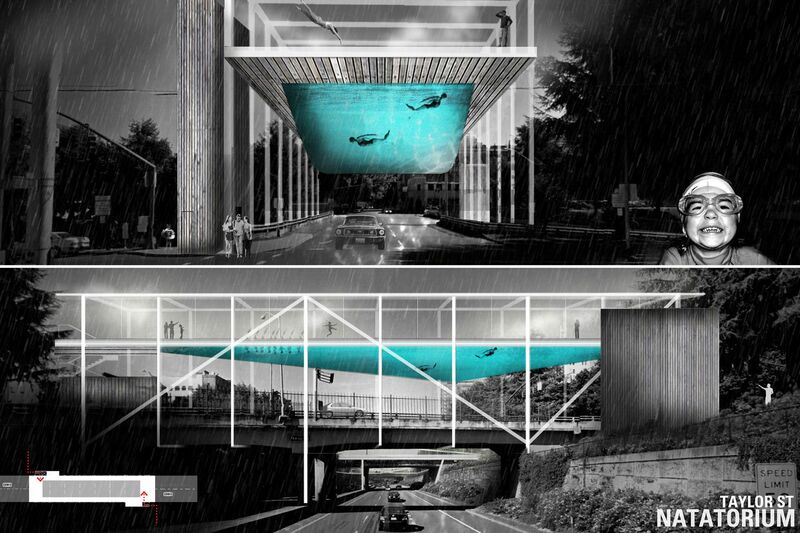 The Taylor Street bridge has an elevated public swimming pool suspended above it. 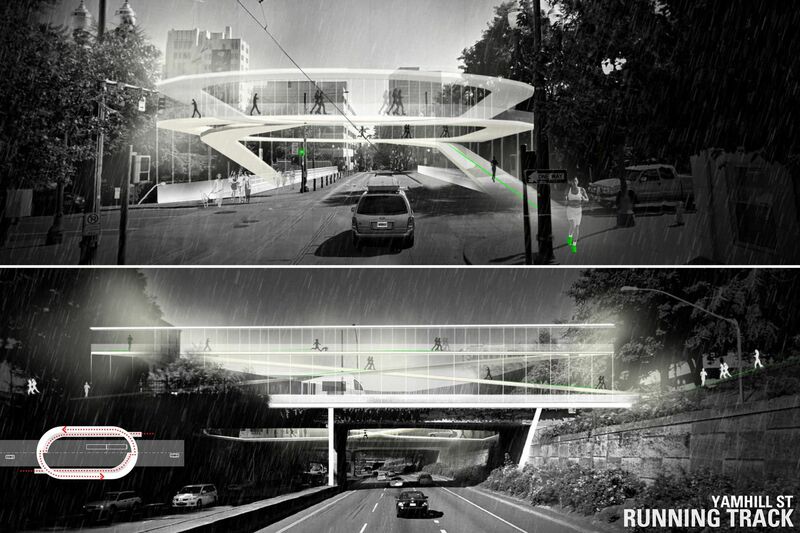 The Yamhill Street overpass has a running track that celebrates pedestrian circulation above the freeway. The bridge at Morrison Street serves as an armature that supports a velodrome which connects in with existing bike paths. 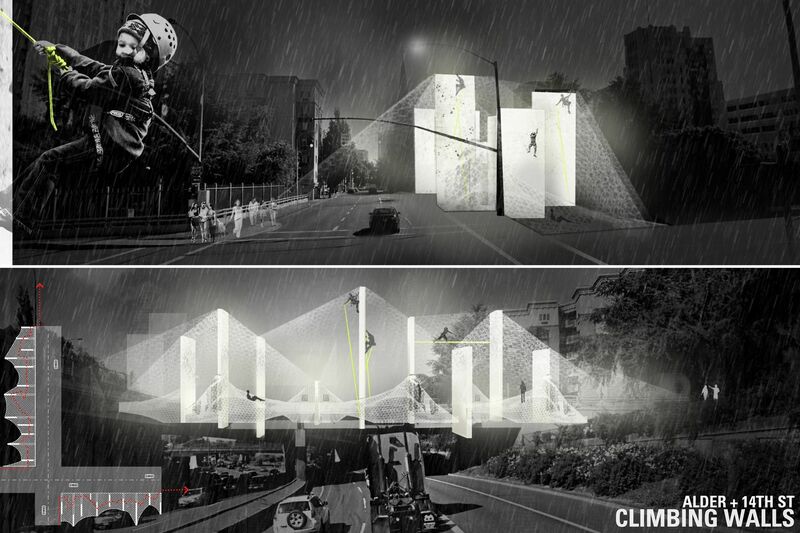 Climbing walls are proposed for this intersection over the freeway that rewards the adventurous with unique views of the City.